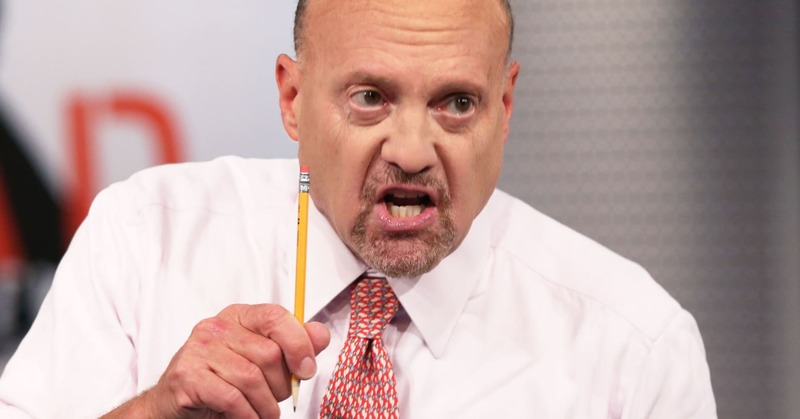 CNBC’s Jim Cramer reminded investors not to step into a battleground stock, a situation where passionate bears are in a standoff with passionate bulls and there’s no where to go. Shares of Monster Beverage have run more than 10 percent this year. That trails the S&P 500’s 13-plus percent gain, and the stock is nearly 5 percent under its price a year ago. Credit Suisse and Morgan Stanley on Thursday offered dueling perspectives on the energy drink maker with the former putting faith in the company and the latter cutting numbers, Cramer noted. Next week, Cramer is anticipating retail data on Monday and March employment results on Friday. Earnings results from Walgreens, Constellation Brands, and others will come in between those days. Tim Sloan’s decision to step down as chief of Wells Fargo hinged in part on a looming congressional committee meeting on banks next month, Cramer said. The top brass of the big banks will be in Washington, D.C., on April 10for the House Committee on Financial Services hearing on banks. The committee, headed by Rep. Maxine Waters, would surely focus on Sloan, Cramer said. “No matter what he said or did, the fact that he served as an executive at Wells Fargo under John Stumpf, now disgraced, meant that as far as Congress is concerned he’s guilty until proven guilty,” the “Mad Money” host said. Stumpf was chairman and CEO of Wells Fargo when the embattled bank was fined $190 million after being accused of opening fraudulent accounts without their customers’ consent. Sloan, who served more than three decades at the firm in total, succeeded him as CEO in October 2016. Hello Alfred is a start-up company looking to “redesign” how people live in cities and open up more time on their schedule, co-founder and CEO Marcel Capone told Cramer. She sat alongside co-founder and COO Jessica Beck. Cramer dug back to “Mad Money” caller questions from November to share his research and findings on the stocks of enterprise safety provider Everbridge and office supply retail chain Office Depot. The host admit that Everbridge is one that got away. The stock is up 50 percent since late November, he said. Office Depot, on the other hand, is more complicated.